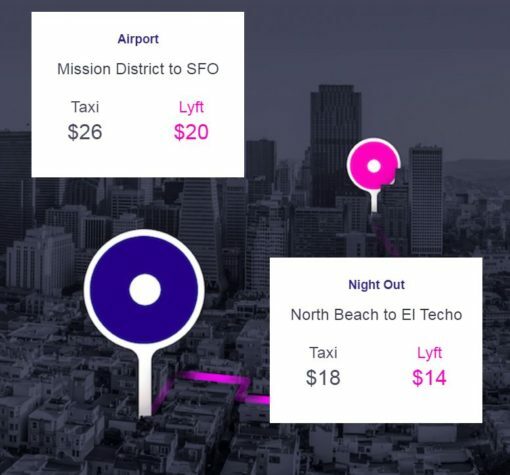 Lyft always gave you the price upfront for Lyft Line rides, but with a new update to their app, they’re finally offers price estimates for all rides. Prior to the update, regular Lyft rides (not Lyft Line) would give you a price estimate within a range (e.g. $14-22) usually within $6-10. The problem with that was depending on the cost of your ride, it was usually a pretty significant difference and one that would determine the feasibility of the ride in the first place. Now the app update gives you a much more accurate price estimate (e.g. $12.67) down to the penny. Whether you can expect it to hit that exact number is another question, but with the new feature, there’s much less of a guessing game. The email doesn’t give much more than what I’ve already presented. Clicking on the “Want to see them in action? Get a price estimate ›” link sends me to a general “why take Lyft” page that doesn’t give any more detail feature. I guess we’ll have to just test it out. I do know with the more-exact price estimates, I’m more likely to take more “regular” Lyfts as opposed to always taking Lyft Lines.